The NY Division of the ERA is pleased to announce a visit to New York City Transit Authority’s 207th Street Shops in upper Manhattan on Sunday, January 25, 2009. This Complex opened in 1931 for the Independent City-Owned Subway (IND) and is where thousands of subway cars are maintained and overhauled for service on the IRT and IND Divisions. All attendees will meet at the main entrance to the complex, which is located at 3961 10th Avenue, on the east side of 10th Avenue between West 211th and West 212th Streets. You must be at that entrance no later than 11:00 AM that morning. The entrance can be reached by taking the #1 or A train to 207th Street and then walking north to the shop entrance. Those driving will have to find on-street parking. In anticipation of the need for security clearance for all attendees, please make certain to have a photo ID in your possession. It is expected that the visit and tour will last 1.5 to 2 hours. Representatives from NYCTA will be our hosts to point out interesting features of the shop and its various subdivisions. 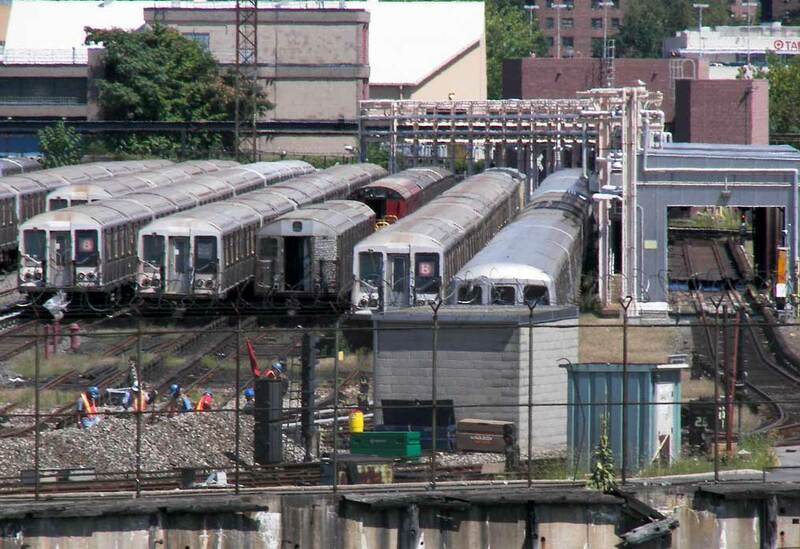 See how subway cars are kept in good repair from the wheels up. Many different classes of cars will be in the shop undergoing various kinds of renewal, both mechanical and cosmetic. We hope to learn more about the reefing operation.